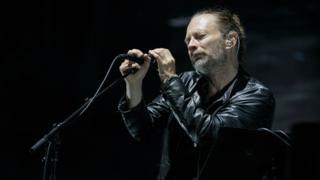 Radiohead have received nominations in all the major categories for the Music Producers' Guild Awards. Their ninth album, A Moon Shaped Pool, is up for UK album of the year, alongside David Bowie's Blackstar and Michael Kiwanuka's Love And Hate. They are also shortlisted for single of the year, while their producer Nigel Godrich is nominated for the main prize, producer of the year. That prize, however, no longer qualifies the winner for a Brit award. Godrich faces competition from two-time winner Paul Epworth, who is nominated for his work on Adele's 25 and the Glass Animals album How To Be A Human Being. The final nominee for best producer is Fraser T Smith, whose recent credits include Kano's Mercury-nominated Made In The Manor album and the debut EP by up-and-coming R&B singer Ray BLK. The awards, now in their ninth year, also feature a new category, best self-producing artist, which sees James Blake, Jeff Lynne and Tarek Musa of Spring King go head to head.